How Viceroy looks with the added gems and playmat. 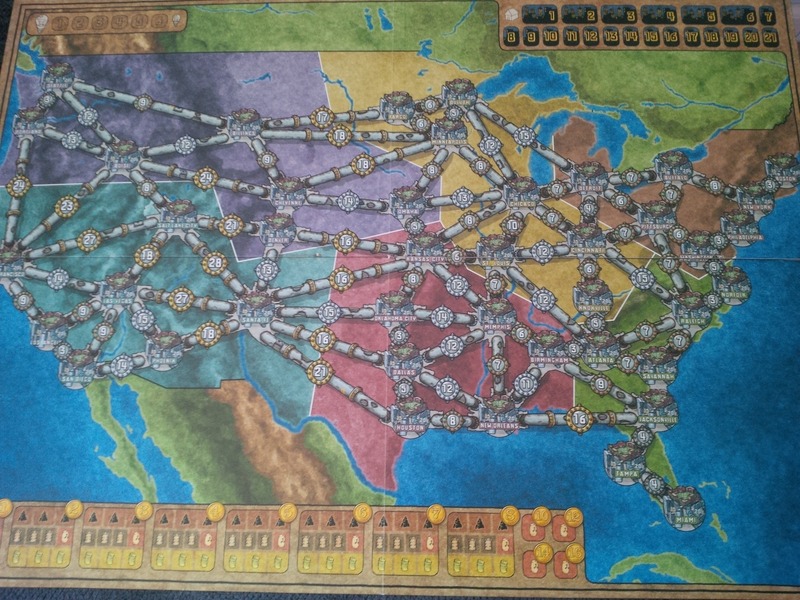 Power Grid’s USA map, one of two (with Germany) in the base game. Power Grid, Friedemann Friese’s 2004 design (which is a reimplementation of his 2001 design Funkenschlag), remains a classic of the boardgaming world over a decade after its release. It’s currently the 12th-highest-ranked game on BoardGameGeek, which says a lot about its staying power, and, so far, it’s spawned 16 official map expansions (in packs of two), two variants (The Robots, The New Power Plant Cards) and even two spinoff games (Power Grid: Factory Manager and Power Grid: The First Sparks). It’s had a 10-year anniversary deluxe edition, and is about to spark another new variant expansion, The Stock Companies. So, after all this time, what value is there in still talking about it? Well, from this corner, there are a few things. Power Grid‘s well-crafted design manages to marry theme and mechanics in a way not frequently seen, while its balance and elegance make it both approachable for newbies and rewarding for veterans (as well as a go-to case in point for discussions of mechanics), and it also provides an excellent example of one of the best approaches to expansions. After over a decade of playing it, it’s still probably my favourite game ever, and it’s one I hope to play many more times in the future. 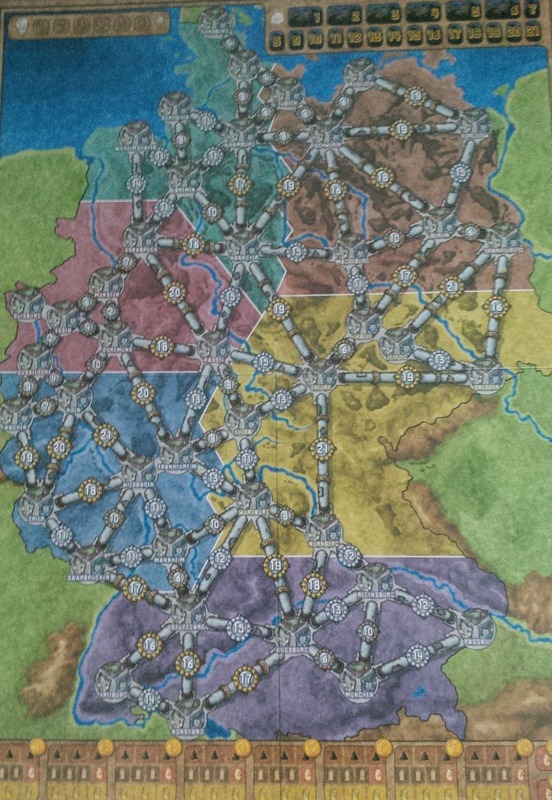 The Germany map, one of the two in the base game of Power Grid. Why does Power Grid work so well? Well, let’s begin with the theme. 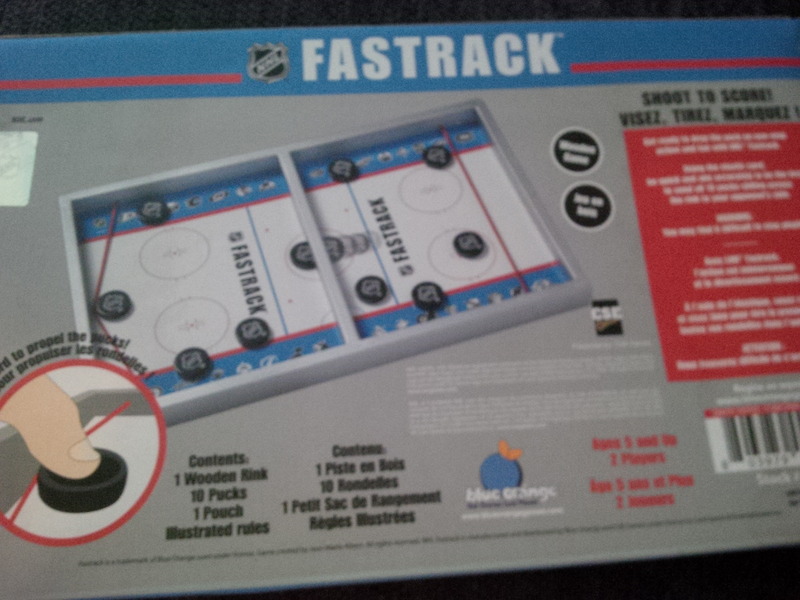 This may not be something that first springs to mind for many, given this game’s focus on mechanics and lack of flavour text, and it’s possible that these mechanisms could still have produced a game with another theme or without a theme at all. As with some other great Eurogames, though, there’s an argument to be made that Power Grid is very strongly thematic. The mechanics really make you feel like you’re running a power company, through the tense decisions on what form of power to pursue, the challenges of when and where to expand your network, and the competition with other companies. The expansions also play into this perfectly, as the different maps come with different resource supply tables and often some different rules as well, all of which reflect the particular circumstances around generating power in those countries. Those mechanics deserve further discussion. I won’t go into a full analysis of how to play (the full rules can be found in a PDF download here), but the game involves an elegant five-phase turn structure that manages to stay relatively simple while still providing a ton of depth. 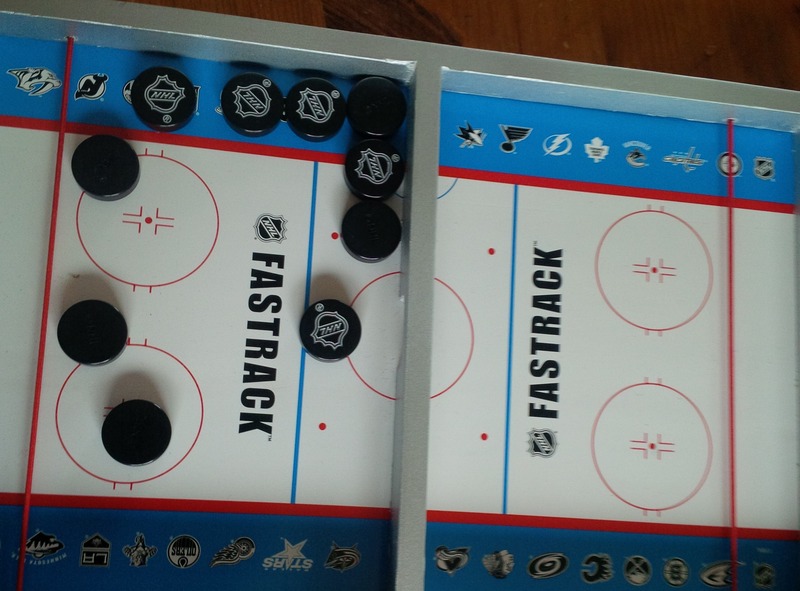 The first phase is just determining player order for the turn, but that’s so crucial in this game that it’s even re-evaluated after the second phase of the first round. Going last is a huge advantage in Power Grid, as that allows you to potentially buy the most-advanced plant available in the auction and certainly get the best prices on resources and the first opportunity to expand your network. 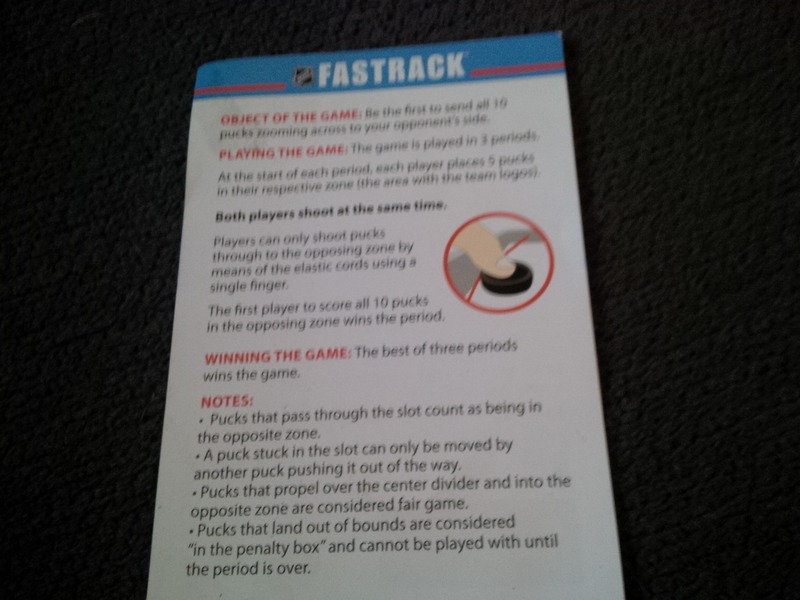 The game uses this as a crucial catch-up and balancing mechanism, making the player who’s in the most cities (or, in the case of a tie, has a higher-numbered and at least theoretically more advanced plant) suffer the penalties of going first. A vertical look at Power Grid’s Northern Europe map. The second phase is the vital auction of power plants, which allows players to buy one plant each (or none at all) from a selection of coal, oil, garbage, nuclear and wind (or ecological) plants. The third phase, buying resources, and the fourth phase, expanding your network, both proceed in reverse player order, again reinforcing the importance of being last; resources can be much cheaper if you buy first (especially if you’re targeting one of the same resources others are also using), and many cities are closely contested (especially as the game only uses a limited number of regions at lower player counts, creating plenty of tension). The fifth phase is just a bureaucracy phase, which sees players paid for how many cities they’re able to power and the resource and power plant markets restocked. 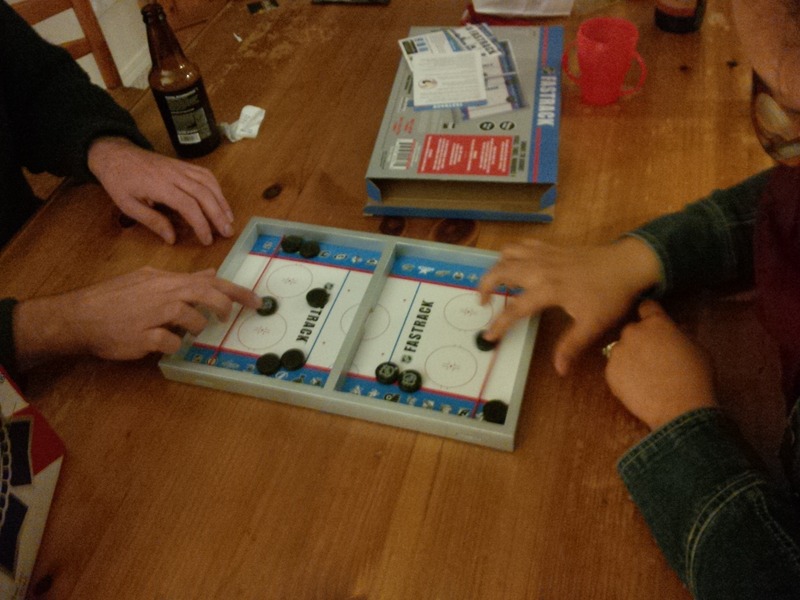 One note with this phase is it can be greatly sped up if there’s an experienced player at the table; the gap to entry isn’t that high in general, as Power Grid can be mostly figured out by new players who have read the rules, but if someone who knows the game can handle the various adjustments in the first and fifth steps, that can really reduce the learning curve for newbies. The end game is worth discussion, too. Unlike many economic games, money isn’t the be-all and end-all in Power Grid, and it actually only serves as a tiebreaker. 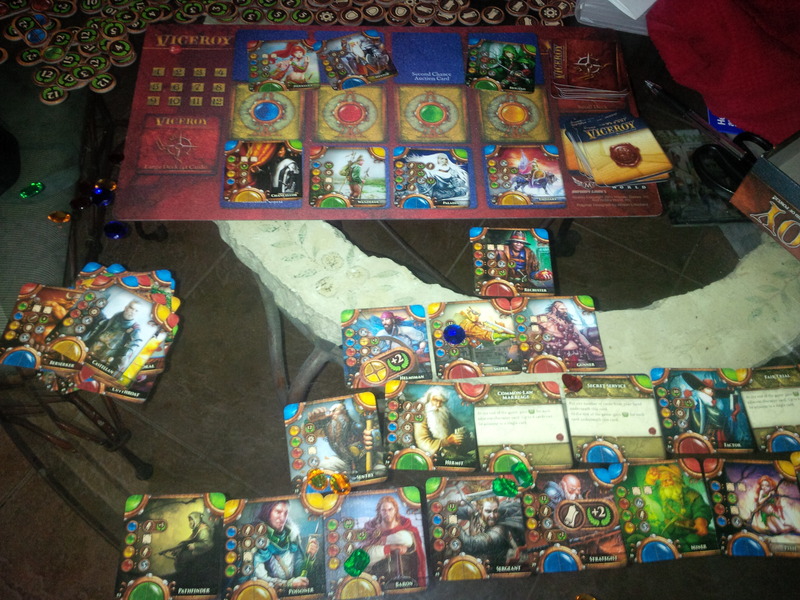 The game ends at the end of the round when someone builds to 17 cities (21 in a two-player game), but the triggering player isn’t always victorious; the winner is the player who powers the most cities at the end of that round, so if you don’t have sufficient power plants or resources for your network, or if someone’s able to build to and power 18 or more cities after you go, you’re out of luck. 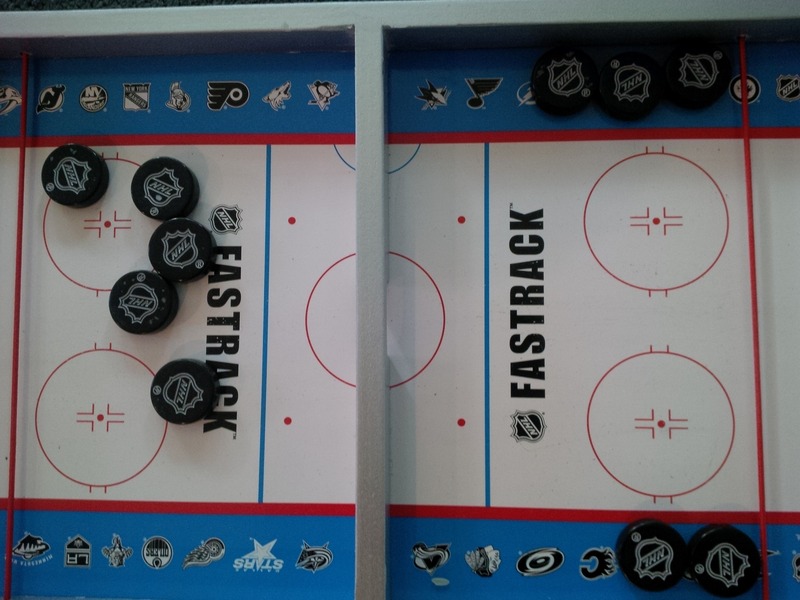 This end game works on several levels; it (aided by the turn-order mechanism) helps prevent runaway leaders, as leaders need to accomplish a lot of different things to actually win, and it often leads to exciting finishes, with several players coming close to the goal. Victories by just one city are common, as are ties broken by money. 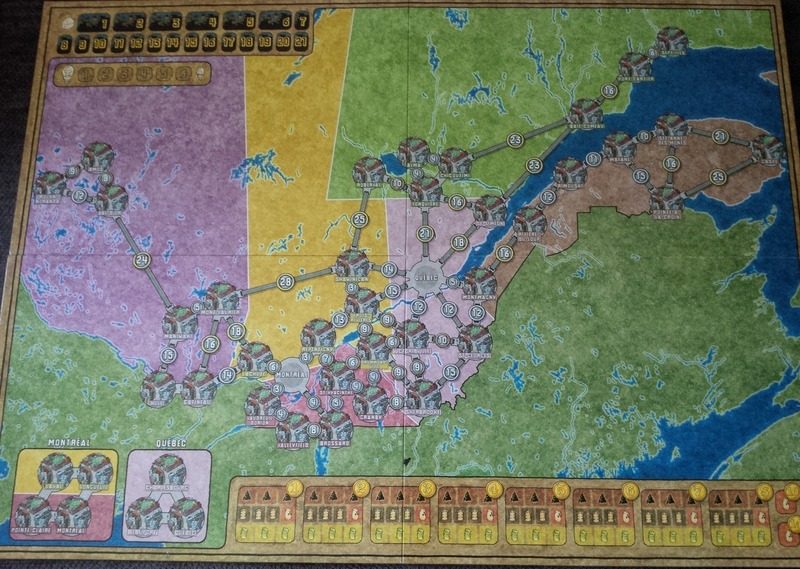 Power Grid’s Quebec map, where the cities of Montreal and Quebec City play a critical role. So, how does this actually play out? 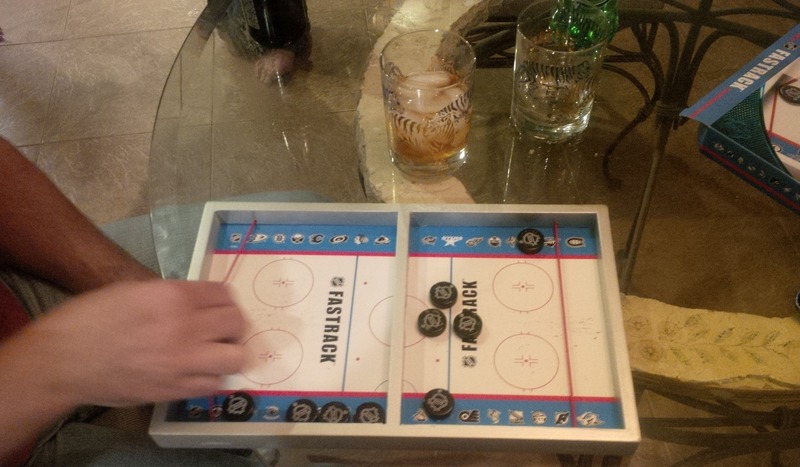 Well, one key component of the game is tension. Almost every decision in Power Grid is tense, from how much you can afford to bid in auctions to when to grab a different type of power to when it’s worth expanding your network. A brilliant source of tension is that turn mechanism; expanding your network to more cities gets you more money, but the rewards diminish over time, and you have to carefully weigh if it’s worth it compared to the extra resource cost you’ll receive for going first and the diminished city selection you’ll receive in the next round of network expansion. The auctions are always interesting, too, as you have to balance not just a plant’s intrinsic value, but how it fits with your other sources of power (diversifying can be crucial) and how it compares with what everyone else has (if you all have coal plants, the price of coal is going to shoot way up, making those much less desirable in the future). Beyond that, you also have to try to get into your opponents’ heads. What type of power are they going for? Do they actually want what they’re bidding on, or are they trying to drive the price up? Will they expand to that city you’re targeting this round if you don’t, or are they likely to go another way, giving you some breathing room? Thus, there’s a ton of player interaction and potential conflict here, making this anything but the oft-derided multiplayer solitare. 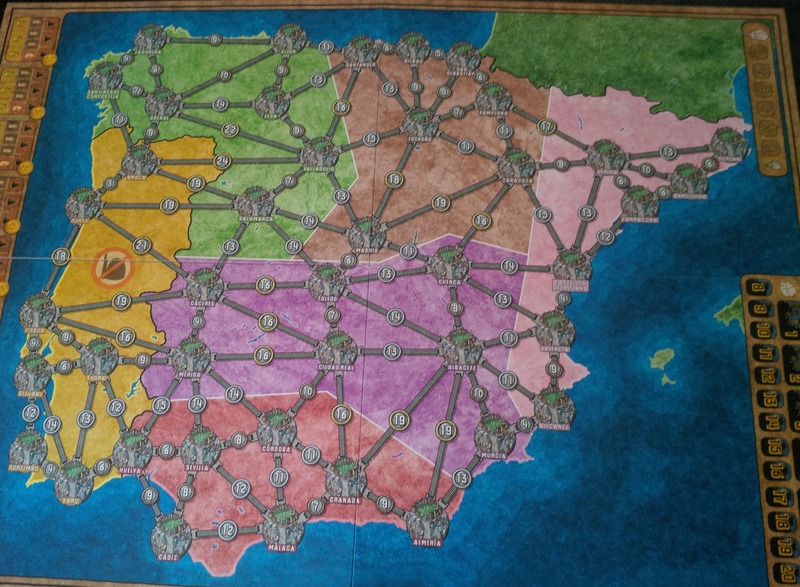 Power Grid’s Spain and Portugal map. No nuclear plants are allowed if you’re only in Portugal. An advantage of Power Grid is that despite its high interaction, it’s rare to see complete screwage. Yes, someone may take the plant you want or the connection you were targeting, but you can always pick another plant or build through a city to go somewhere else. Yes, players may buy the cheap resources you wanted, but you can usually still do something, and you can change plans to focus on a different form of energy. Moreover, the turn order mechanism slows down the leaders and benefits those who are falling behind, keeping them invested in the game. (That may seem artificial, but it can be thematic as well; expanding a real power network without consideration for the greater resources needed would likely seem to be expensive as well.) 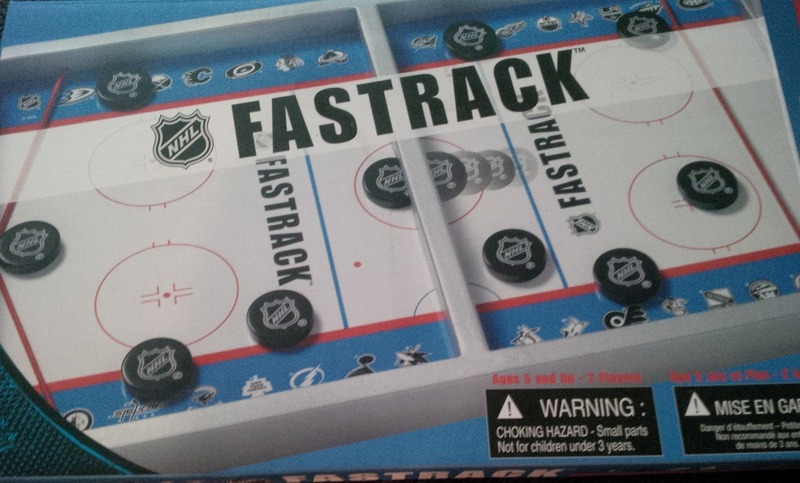 This is a game that keeps most of its participants in it throughout, and that’s a good thing in a game that estimates two hours of playing time (this can vary substantially though, as less players makes it go faster, experienced players make it go faster and some gaming groups can play through this quickly, while others may take longer to make decisions); there aren’t too many games of Power Grid where someone’s completely out of it. One of my favourite parts of Power Grid is how it’s been expanded cleverly over the years. The different maps add a lot of replayability to the game, as they all feel very different given the different geographies, resource refilling tables and location-specific rules. Some maps, such as France and Italy, are mostly just twists in geography and resource supply, while others, including Australia (uranium mines), China (state control of the plant market), Japan (starting two separate networks), and Korea (different markets for North and South) offer bigger changes to the game’s rules. These expansions have been done well; each feels like you’re really playing with the constraints in that country, and the different maps are unique enough to provide a new experience and flavour, but not so game-altering that they change the difficulty curve or add significant hurdles for new players. The new power plant cards also provide variety without dramatically altering the game. Power Grid is a great game out of the box, and would have tons of replayability even if the base set is all you bought, but the expansions add significant value and give you new ways to enjoy the game without overcomplicating it. 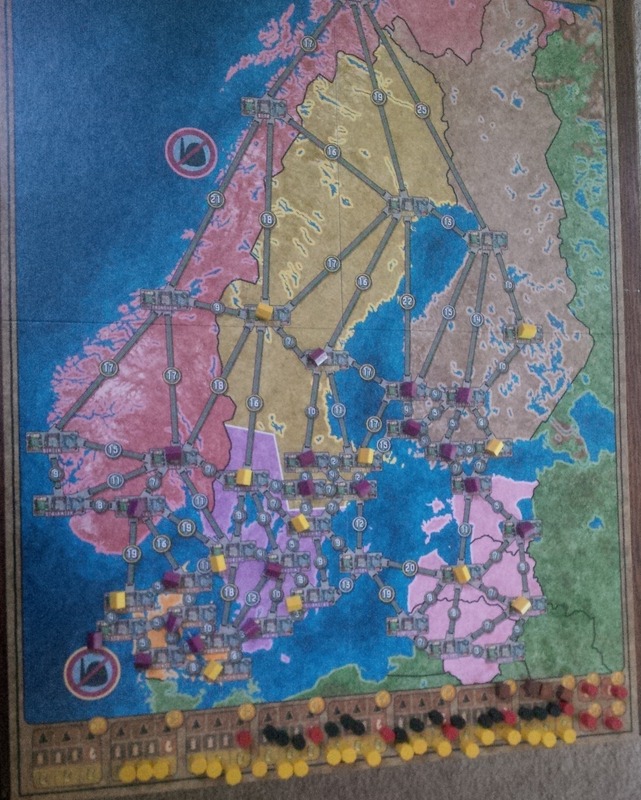 Power Grid’s Northern Europe board, with money, resources and power plant deck set up. Each of the countries on the Northern Europe board focuses on different types of power, and hydro power is a key part of the game. Something else that should be discussed is how well Power Grid scales. The two-player game can be a lot of fun, as can the six-player game, and the time added with more players isn’t always that substantial (especially if one experienced player can organize the bureaucracy and turn order phases and keep the game moving along). A big part of this is the rule that you play in fewer regions with less players, which keeps the competitive network-building interactions at a frenzy regardless of player count. Six players is probably my favourite for this, as the auctions get particularly interesting with that high of a count, but I’ve played lots of two-player Power Grid (both with and without the dummy player variant The Robots adds) and always enjoyed it. BoardGameGeek user GameRulesForOne’s unofficial solo variant is also a lot of fun. 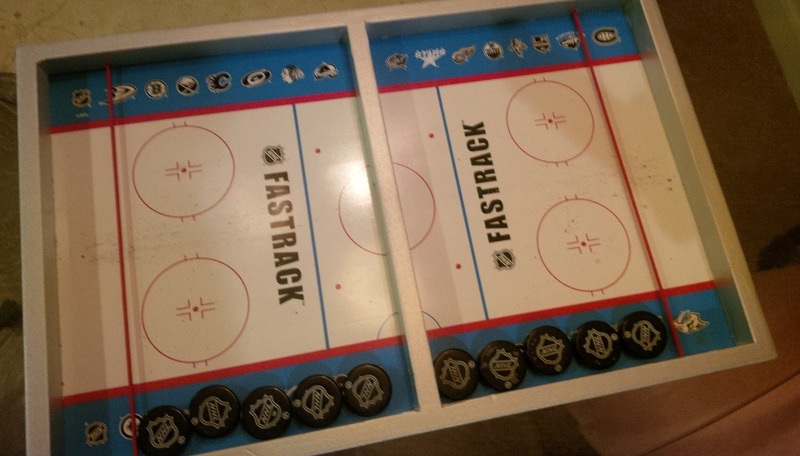 This game isn’t going to be everyone’s cup of tea, of course. There is math involved in playing well, calculating how much money you’ll need for a particular network expansion or a new set of resources, so if you hate numbers on sight, Power Grid probably isn’t the game for you. The economic/network-building/power-generating theme isn’t something that appeals to everyone, either, and the way it’s implemented (largely through mechanisms rather than text) may not draw everyone in. Also, collecting large numbers of expansions is probably only for those who love it; I’d recommend trying the base game (which has plenty of replayability itself!) first, and then perhaps researching and seeking out the specific expansions that appeal to you. With all that said, though, this is still a fantastic game, and one I’d recommend most gamers at least try. Would Power Grid still do well if it was published for the first time in 2015? From this corner, absolutely. Yes, there have been plenty of valuable developments in game design in the decade since, but nothing really stands out as something missing from Power Grid. Its elegance, approachability, mechanical balance and theme make it a game that still stands up well today. It’s still one I always enjoy, and one I hope to play for decades to come. Power may corrupt, but Power Grid mostly just causes addiction. 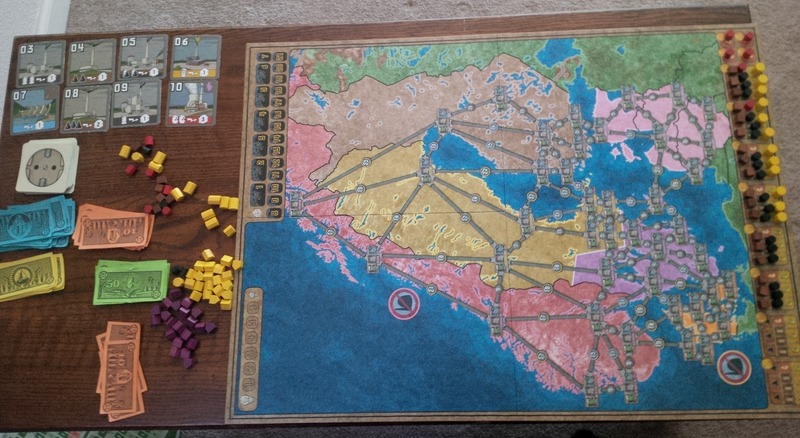 Thoughts on Power Grid? Thoughts on what you liked and didn’t like about this review? What you’d like to see more of in the future? Leave them in the comments, or discuss them with us on Twitter or Facebook.